Eli Hurt will be working alongside of Steven Kirby in helping with the planning and executing of certain events and activities of the church youth & family ministry program. Eli has been attending Franklin for 12 years. He recently graduated from WKU with a degree in Corporate & Organizational Communications. He is currently working at UPS (loading trucks) and at Foundation Christian Academy where he serves as the schools Enrichment Teacher. Make sure to keep an eye on the Pathfinder for news and information concerning the youth & family ministry program here at Franklin. If you want to help and get involved -- be sure to sign up on one of the sheets in the foyer and/or see one of the elders, Steven Kirby, or one of the coordinators listed below. 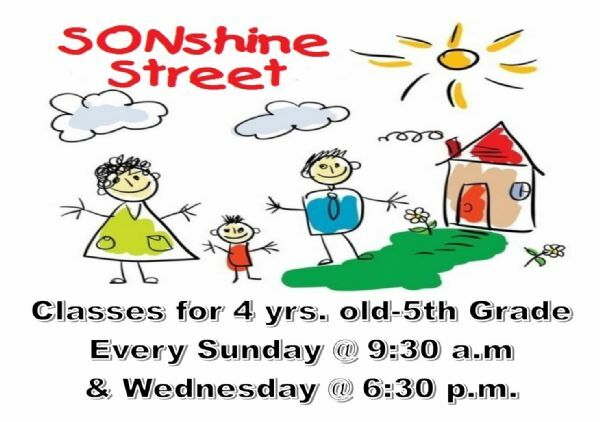 SONshine Street (4-year olds-5th Grade) will continue as normal on Sunday mornings and Wednesday nights. Cindy Ferguson, Megan Perkins, and Dawn Shrull will be coordinating the assignments for all classes. This will include class teachers and rotations. FYG Teen Classes will continue as normal on Sunday mornings and evenings and also on Wednesday nights in the WEARhouse. · Jim Brown & Steve McCarley will start a study on Finding a FAITH That Is My Own on Wednesdays. · Scott Walker will start a study on the Book of Acts on Sunday mornings. FAITHBUILDERS (4 years olds-5th Grade) will continue as normal on Sunday evenings. A.S.W. (After School Wednesday) -- Steven Kirby (coordinator) -- kids are picked up at 3:00 p.m. at the high school and transported to church. Last A.S.W. will be May 22 for the 2018-2019 school year. Simpson County Youth Camp -- Steven Kirby (director) - applications are available here or at the church office. Senior Salute - Angela Vaughn & Amy Harrison (coordinators) -- Sunday, May 5th at 11:45 a.m. Vacation Bible School -- Amy Hargrove & Amy Harrison (coordinators) -- July 21st-24th. VBS will be held at night this year from 6:30-8:00 p.m. A planning meeting will be held in the near future. Bible Bowl -- Steven Kirby, Tammy Curd, Kelsey Ezell, Jamie Arney -- practice will begin soon after Lads to Leaders activities conclude -- probably around 1st of May. Our youth will be studying from the book of Acts in preparation for this year's Bible Bowl. Memory Verses -- Jeff Shrull & Eli Hurt (coordinators) -- any of our kids who are participating in this activity may go and see Mr. Jeff or Mr. Eli and quote their scripture verse to them to receive their fry. Youth Mailboxes -- Steven Kirby (coordinator) -- if you would like to help Kirby organize this worthy encouraging tool for our youth group -- please see him. The elders are being very prayerful and mindful of this next challenge ahead of them. Thoughts, ideas, and suggestions are being discussed on what the next step will be - please bring your thoughts to the elders! We want to get the best possible candidates we can to fill this very important position here at Franklin. We will take our time and be patient. We have faith that God will help lead the right man (and family) to Franklin to help us continue the great ministry we have here for the youth and families of Franklin-Simpson and the surrounding area. During the search process please pray for our new youth minister, his family, and that God will give the search team the discretion to choose His candidate for our church family.